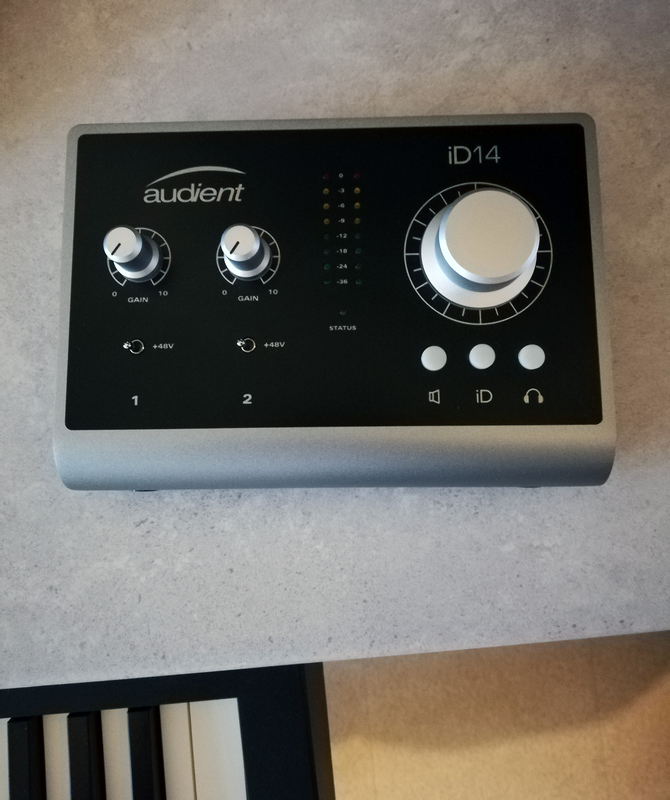 iD14, USB audio interface from Audient. Ice Frost's review"A great move by Audient !" My config: Mac mini, core i5, Yosemite. 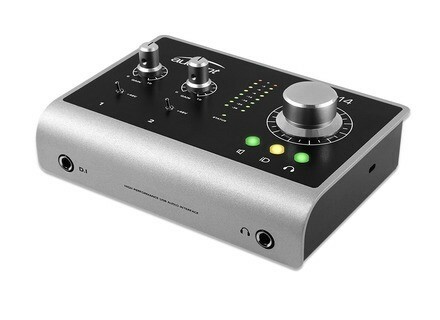 For what I can tell, the interface is surprisingly heavy, its weught is quite important for such a small box, the two preamp knobs are hard to turn (a good point for precise settings) and the left knob (which is used to access different the modes ans settings) is notched and also well-built. I am a former Rme Fireface 400 user. After I stopped my homestudio a few years back, I got back to it, the most important thing for recording is know-how, good tracking and good signal processing so such a product is more than enough to get a production-oriented result. I'll get back to you later this summer to share my impressions on this interface, I'm going to the studio for one week and 150 hours of mixing ahead of me, well enough to try any interface. Enjoy! Takes 2 seconds 12 to install! Drivers found online, installing, bar gets purple, complete, and here we go. Soundwise, the hi-Z ins are clean and detailed, stable with 10 viirtual instrument tracks and a whole bunch of CPU-hungry Waves signature plugins. Beware Cubase users, just a correction, the buffer can be set from within Cubase, an ID14-dedicated tab appears, open the control panel and it's OK, works also with Logic or Pro Tools although Audient doesn't mention it in the manual (which is only 2 page long...). 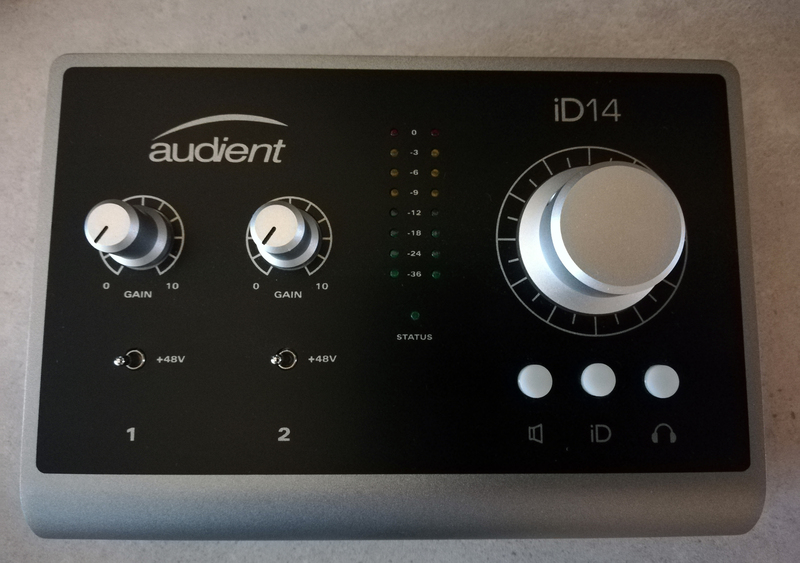 This question aside, the ID14 takes very well all the recording, mix and mastering processes, no problem whatsoever. It may be interesting to see how it reacts with 50 tracks at once, I'll keep you updated. I recorded a guitar (test available on AudioFanzine in the Media tab, it's a recording of an Ibanez JEM 70V Prestige, with a slight eq correction and comp), in a mix guitars sound detailed enough to make the mix sound as it should. 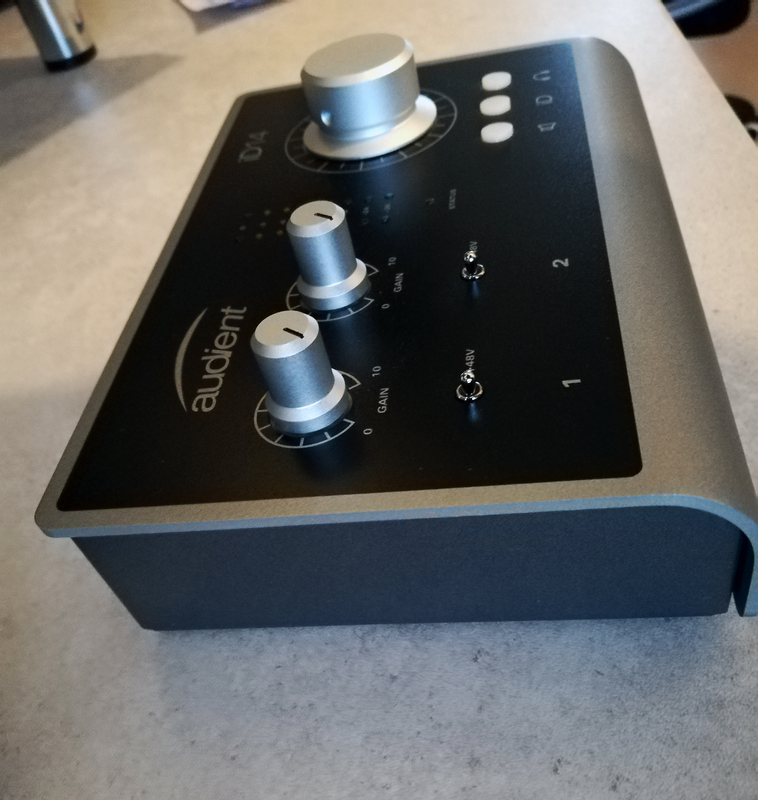 Frankly, apart from the lacks in the manual, this is the best product I've discovered in 2015, Audient has made a great move, you can't get better for the price, we also had TC Electronic's TC Impact Twin but it was much less handy and ergonomic. I'll put online a sample from the metal band that I'm recording now, all in it will come from the ID14. A link to the very useful Audient pdf manual, which is not included in the small box..
With 30 tracks, the interface takes it all with no problem even with heavy processing, the quality of the converters can be heard, and the result is pro-grade. Details and nuances lack very slighly, for better results the ID22 is more indicated. Still, it is an excellent interface with a great work ergonomics, quick to set up whatever you want to set up, in a studio configuration with track groups it's awesome, no headeache involving an RME Totalmix routing, everything is much simpler. The preamps are very transparent, which is both surprising and pleasing, they can take all that they're fed with, very good. I'll put parts of a mix recorded with the ID14 online soon. 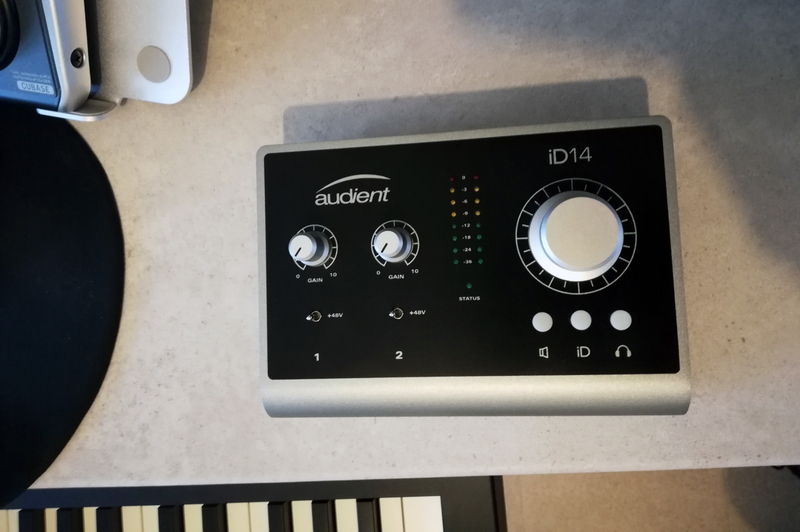 Audient is now shipping the new iD14 audio interface and monitoring controller that they introduced at Musikmesse a few weeks ago.